Shuffleboard caps are an essential part of your shuffleboard accessory bag because they make your pucks last longer by reducing wear and tear. Shuffleboard caps are protective surfaces that attach to your shuffleboard weight. Any serious table shuffleboard player should have a few in their accessory bag. Venture Aluminum Shuffleboard Caps. $329.95 for a set of 8. 1) Ergonomic Design – The main benefit of having a shuffleboard cap is that it allows you to have a better grip on your shuffleboard weight. Shuffleboard caps give you’re firm control over your shots. 2) Extended Durability – Shuffleboard caps protect your weights from scratches, dings, and dents. Damage can occur when you knock another player’s puck out of position. Having shuffleboard caps add a protective surface to make sure that your pucks last longer. 3) Visual Identification – You can easily spot your weight on the table. No more having to fight over whose puck is whose. By attaching a shuffleboard cap to your weights, you’ll instantly be able to tell which weights are yours. ZieglerWorld shuffleboard weight caps have a unique ergonomic design and 3 spoke label that helps gauge your spin. 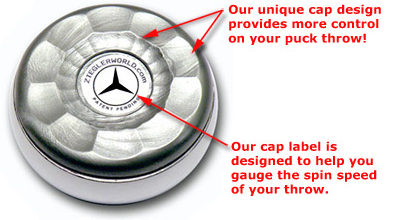 ZieglerWorld Shuffleboard caps are designed especially for 2 5/16 inch pucks. These large shuffleboard caps are 2 1/8 inch wide. They screw on to attach to the base of your weight. Simply twist on to secure your shuffleboard cap to the puck. ZieglerWorld Shuffleboard Caps have 3 spoke label that allows you to gauge how much spin your weight has. It provides a visual point of reference to improve precision throwing. They are also outfitted with smooth grooves that fit perfectly on your fingertips. 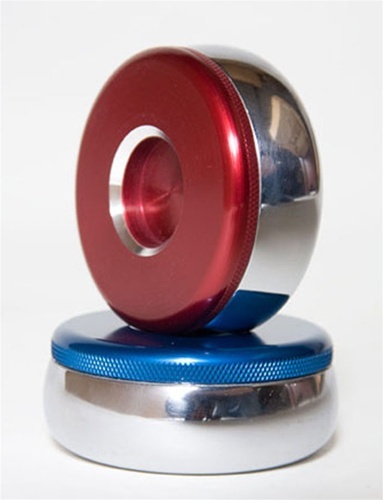 It gives you more control over your throws and the amount of spin you add compared to that of a regular shuffleboard puck. 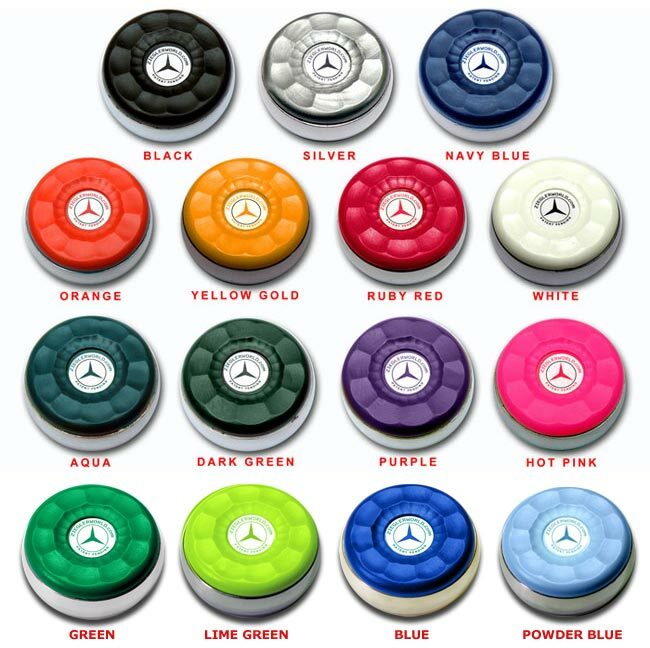 ZieglerWorld shuffleboard puck caps are available in 15 bright colors! Made in the U.S.A! Jelani Burton is a shuffleboard enthusiast with a competitive fever. He likes to stay up to date on the latest products to keep his game on edge. You can find him sharing new tips on the Shuffleboard Blog. That combined with the right know-how, he continues getting better every day!